The annual event provides networking opportunities for criminal justice, community, and faith-based organizations providing services to ex-offenders and their families. At the Summit, new activities were announced including updates to the website and a "coffee chat" professional development program set to begin in May. This year's Summit sponsors included: ARCHS, Lutheran Foundation of St. Louis, Missouri Department of Corrections, St. Louis Community College-Florissant Valley, St. Louis City, St. Louis County, and Washington University in St. Louis. The Fifth Annual STAR Summit welcomed more than 200 area reentry experts to discuss "Lessons From the Field" on March 12, 2014 at St. Louis Community College - Florissant Valley. Senior Fellow for the Justice Policy Center at The Urban Institute Shelli B. Rossman spoke about effective responses to offenders and families as part of the keynote address. In addition, remarks were given from City of St. Louis Mayor's Chief of Staff Jeff Rainford, St. Louis County Executive Charlie Dooley, and ARCHS' Chief Executive Officer Wendell E. Kimbrough. The afternoon featured a presentation by Diversion Progam Manager for the U.S. Department of Justice Scott Collier on The Impact of Prescription & Designer Drugs on Reentry, and two panel discussions on Veterans & Reentry and Housing & Reentry. A special luncheon with keynote speaker Rossman was held the day before the Summit. The Summit is sponsored by ARCHS, Lutheran Foundation of St. Louis, Missouri Department of Corrections, St. Louis Community College, Washington University in St. Louis, St. Louis City, and St. Louis County. 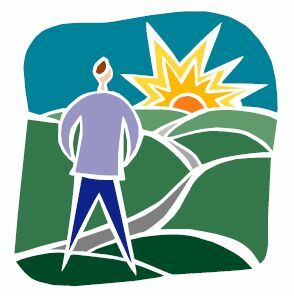 The Fourth Annual STAR Summit welcomed more than 225 area reentry experts to discuss "Road to Reentry: Are We There Yet?" In addition, City of St. Louis Metropolitan Police Department Chief Sam Dotson spoke about reentry from a law enforcement perspective, Representative Lacy Clay discussed reentry and how it effects his constituents, and Missouri Probation and Parole Regional Administrator Nancy McCarthy and ARCHS' Vice President Les Johnson discussed the role of STAR over the past four years. In addition, Missouri Department of Corrections Director George Lombardi, St. Louis County Executive Charlie Dooley, and City of St. Louis Director of Human Services William Siedhoff provided opening remarks and an overview of reentry in the region and state. Dr. Fred Rottnek (Saint Louis University) gave a presentation called "Mental Health Continuum: From Jail to Community" and Dr. Carrie Pettus-Davis (Washington University) talked about engaging the family in the reentry process. The Summit is hosted by the St. Louis Alliance for Reentry (STAR) and is sponsored by ARCHS, Lutheran Foundation of St. Louis, Missouri Department of Corrections, St. Louis Community College, St. Louis City, and St. Louis County. 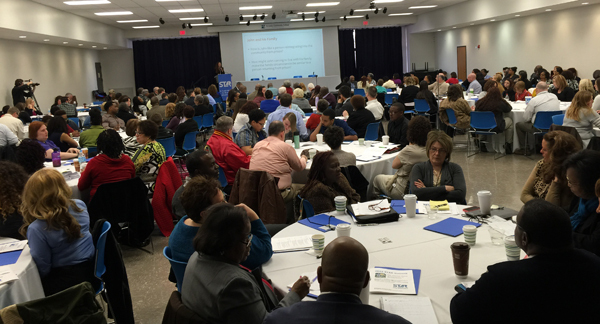 The 3rd Annual STAR Summit welcomed more than 225 area reentry experts to discuss "Mythbusters" regarding the field. In addition, Missouri Department of Corrections George Lombardi, St. Louis Prosecuting Attorney Robert P. McCulloch and Missouri State Representatives Gary Fuhr and Rory Ellinger hosted a panel discussion concerning the findings of the recent Missouri Working Group on Sentencing and Corrections.